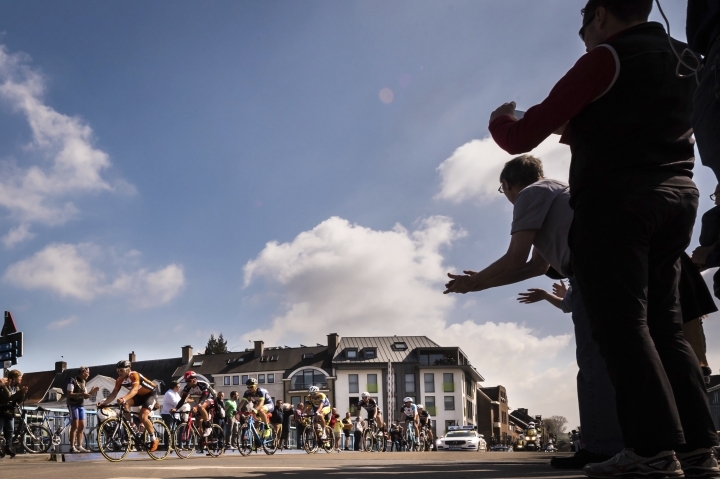 OUDENAARDE, Belgium — Veteran Belgian rider Philippe Gilbert clinched his first win at the Tour of Flanders with a brilliant solo breakaway as the pre-race favorites failed to impress on Sunday. The 34-year-old Gilbert made the decisive break some 55 kilometers (34 miles) from the finish and held off chasing riders. Peter Sagan, last year's winner and among the favorites again, crashed 20 kilometers (12.4 miles) out as he went in pursuit of Gilbert. Gilbert, a winner of nine stages on the Tour de France, Spanish Vuelta and Italian Giro, completed the 260-kilometer (161-mile) trek in just over 6 hours, 23 minutes. "We won as a team today and everyone deserves to be on the podium," Gilbert said. "Many people thought I was crazy to attack 55 kilometers out, myself included." 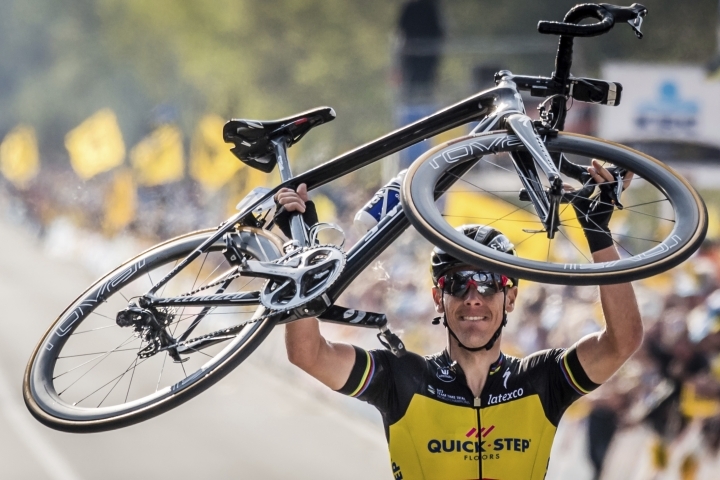 As he crossed the line in Oudenaarde, the ecstatic Gilbert thumped his chest repeatedly and then climbed off his bike before raising it aloft to celebrate one of his best career wins. "The motivation was there, as I knew I still had it in me. When I approached the final kilometer, I looked behind and saw the chasers were still a long way back and thought of a nice way of celebrating," Gilbert said. "That's why I raised my bike over my head, because it was an important part of my victory." Belgian rider Greg Van Avermaet finished second after holding off Dutchman Niki Terpstra in a sprint to the line. Van Avermaet, the Olympic road champion, entered the race in great form. He recently won the Gent-Wevelgem and E3 Harelbeke classics, adding to his victory last month in Het Nieuwsblad. But he and Terpstra were nearly 30 seconds behind Gilbert. 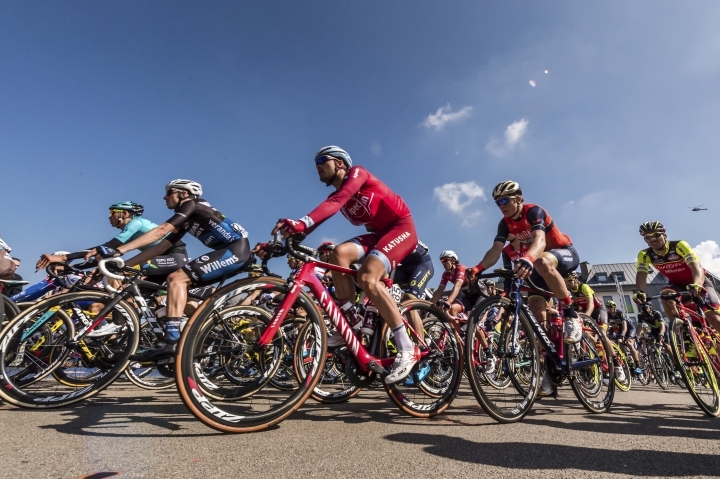 The race, also known as De Ronde, is part of five high-profile classics along with Milan-San Remo, Paris-Roubaix, Liege-Bastogne-Liege and the Giro di Lombardia. It features 18 short but punishing climbs and five cobblestone sections. Paris-Roubaix, known as the "Hell of the North" for its challenging cobbles, is next Sunday and sees four-time winner Tom Boonen competing in the final race of his career before retiring. 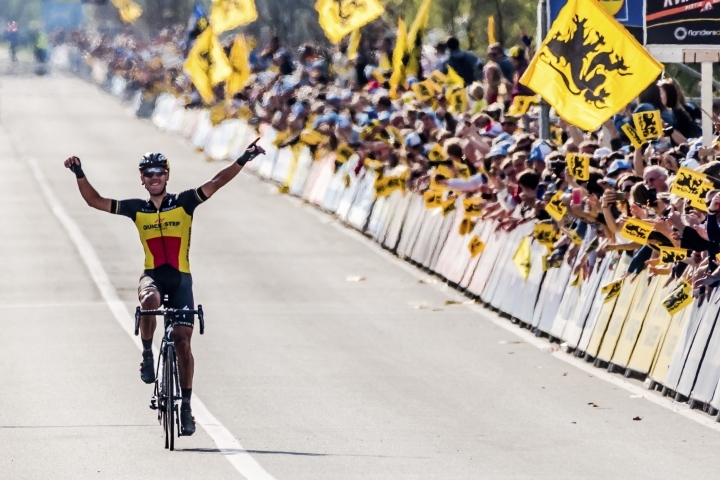 The 36-year-old Boonen wanted to sign off from the Tour of Flanders with a fourth win in front of his adoring home fans, but was happy to help his Quick-Step Floors teammate Gilbert claim the win, five years after Gilbert last competed in the race.